A group of writers from a city arts magazine which closed down last year are to team up with an independent website in a new publishing venture. Venue magazine, originally launched in 1982, was axed by publisher Local World last November having gone online-only in 2011. But seven of the former Venue writers have now teamed up with city-based independent website Bristol 24/7 in a new print and online venture. 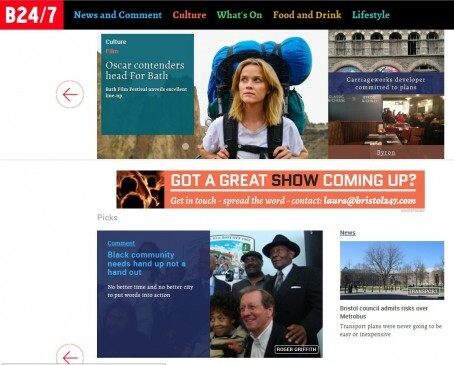 Bristol 24/7 has not only revamped its website but is venturing into print for the first time with the publication of a new 112-page free monthly magazine. The new-look website went live this week and the magazine, B24/7, hit the streets last weekend with an initial print run of 20,000. Chris Brown, founder and co-editor of Bristol 24/7, said the aim of the project was to bring together the original Bristol24/7 website, Bristol Culture website and writers from Venue. 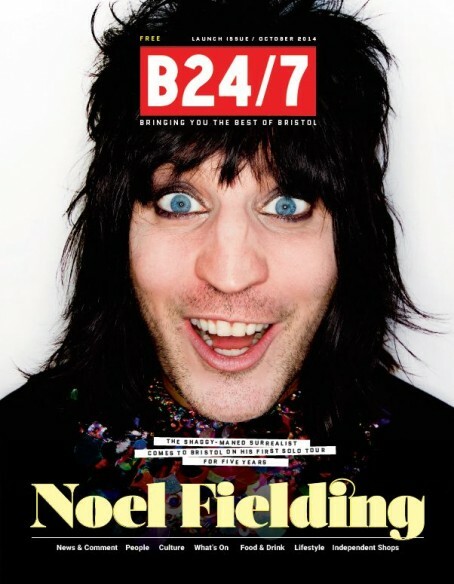 The new B24/7 magazine which hit the streets last weekend. The website has also been placed on a new footing as a community interest company, with “significant investment” from local people. And in keeping with the new multimedia approach, new mobile and tablet apps are being launched later this month. Said Chris: “It has been a long time coming, but it has been fantastic to see the collaboration between Bristol24/7, Bristol Culture, Bristol Listings, and the team of investors and publishers being put together. “We started with a vision scribbled on a piece of paper, and now we have seen the first issue of the magazine hit the streets, the new website go live and the mobile and tablet apps still to come. “The feedback we are getting has been uniformly positive – people in Bristol seem to be hugely excited with what we are now providing. “We aim to be the first port of call for news, culture, what’s on listings, food and drink and lifestyle content in the city – and will challenge whatever the traditional media companies can provide over the coming months and years. Another classic example of a regional publisher ( Bristol Evening Post Plc / Northcliffe it was back then ) buying an entrepreneurial operation making a living for a small team, trying to corporatise it and eventually failing miserably. The industry must be littered with similar examples. Interesting interpretation of “axed”. The Bristol public axed Venue by not buying it enough.